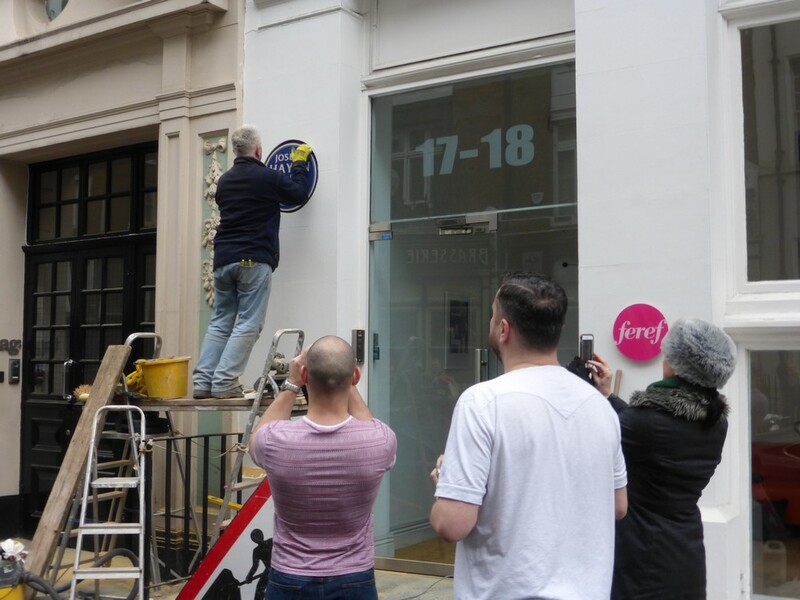 Yesterday we watched the installation of the Haydn plaque at 18 Great Pulteney Street. The operation took around three hours as a hole was cut into the wall and the plaque fixed in place with cement. The plaque attracted a great deal of interest from passers-by, many of whom stopped to take photographs and ask about the composer. The plaque was left covered with tape for the time being. You are welcome to come and see the unveiling on 24 March at 12pm when Society Director Professor Denis McCaldin will join Sir Neville Marriner and the Austrian Ambassador in an official presentation.